The chargesheet was filed against Nirav Modi and 23 others associated with him. The Enforcement Directorate, on Thursday, May 24, filed its first chargesheet in the Rs 140 billion Nirav Modi scam. The chargesheet was filed against Modi and 23 others associated with him, including his siblings, and a number of his firms, namely Firestar Group of Companies, Solar Exports, Stellar Diamonds and Diamonds R Us. 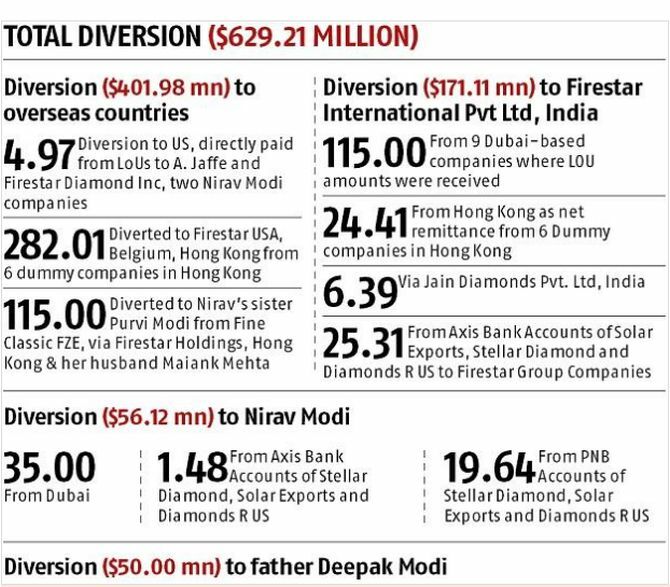 The Enforcement Directorate said to date, the diversion of the proceeds of crime, to the extent of $629.21 million, had been traced to several group companies, relatives and other dummy companies under the control of Nirav Modi and his associates.